All finishers will receive a unique finisher’s medal. Not only will this commemorate your achievement, but it will also double up as a bottle opener to remind you of your wonderful achievement every time you crack open a cool refreshment. Use it as a medal, use it as a bottle opener or use it as a key-ring & bottle opener. 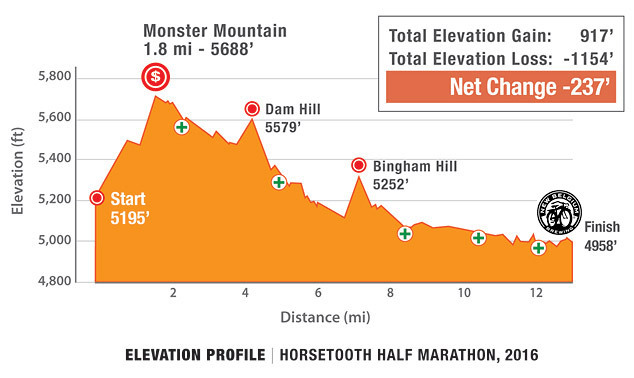 The start of the race begins at 5,195 feet above sea level and takes runners on a nearly 500-ft. climb to the top of “Monster Mountain” at mile 1.7. After the big opening climb, the course follows the eastern shoreline of Horsetooth Reservoir, rolling past the ‘A’ Hill and North Dam Hill (5,579′) on a net downhill trajectory. Runners begin their eastward journey to the finish at New Belgium Brewing with the final climb of the course over Bingham Hill (5,252′). After climbing Bingham Hill it is all downhill along the Cache la Poudre recreational trail into The New Belgium Finish Line Party and post-race expo in Old Town Fort Collins. 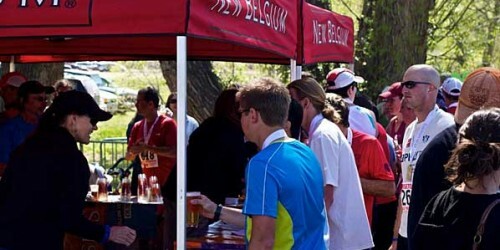 The party includes free New Belgium beer for those over 21, post-race food, raucous live music and giveaways at the sponsor expo and awards ceremony. Once you’ve had your fill, jump on a free shuttle bus back to the Holiday Twin Drive-In to pick up your car. 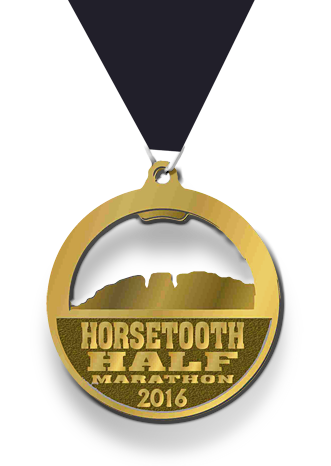 The Horsetooth Half Marathon will be chip timed using the My Laps timing system. A chip will be attached to the back of your bib. Your time will begin when you cross the starting line and stop when you cross the finish line. Cash awards in the overall and master’s division will be determined by gun time; age group awards will be determined by chip time. There will be intermediate split timing mats at the top of Monster Mountain (mile 1.8) and at mile 8. These split times will be available with the final results. To ensure that race officials and photographers can identify you, your bib must be clearly displayed and visible from the front at all times while racing. AIR: If you are coming to Colorado by plane, the closest airport to Fort Collins is the Denver International Airport. The start is approximately 70 miles northwest of the airport. Those parking at the Holiday Twin will be required to enter from the south off Overland Trail Rd. (right hand turn only), coming from Drake Road. If coming from the north on Overland Trail, you will be instructed to continue south to turn around in Cottonwood Glen Park and approach from the south. Pre-race packet pickup will be available from noon to 6:00pm on Saturday April 13 at the Raintree Athletic Club, located on the NW corner of Drake and Shields at 2555 S. Shields St. Those wishing to drink a beer at The New Belgium Post Race Party (see below) have the option of showing proof of age and receiving and attaching their +21 wristband at packet pickup. Race day packets and registration will be available at our packet pickup location, immediately to the south of the start line, between 7:00 and 8:15. The race will start on time at 8:30, so we will be enforcing a strict cut-off on the 8:15 deadline to pick up packets. Please take note that parking at the Holiday Twin Drive-In is 3/4 of a mile from the start, so please build in the 15 minutes it will take you to walk to the start to your race day planning: get there early! 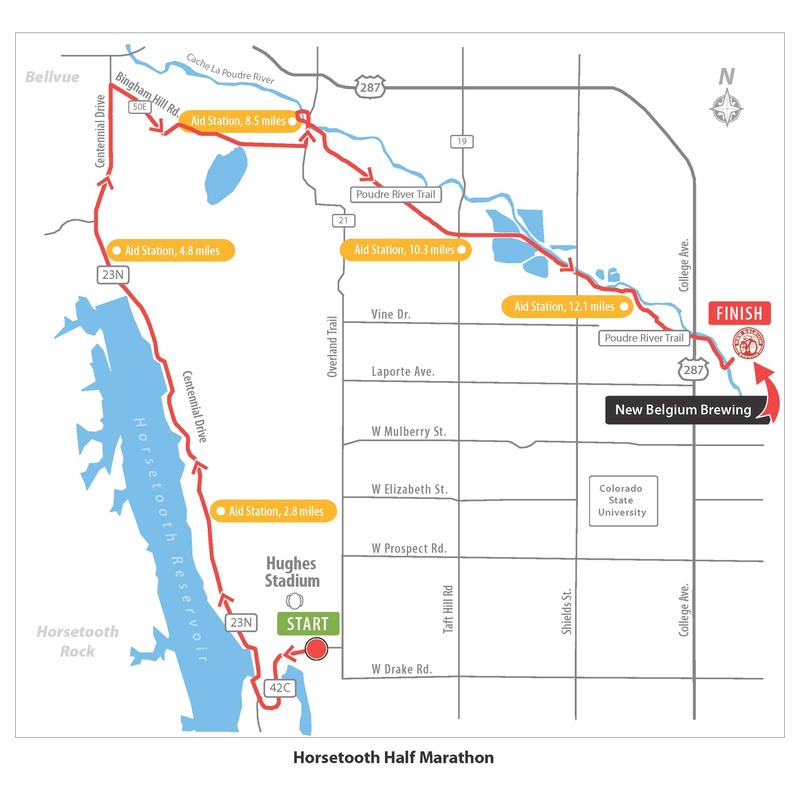 The Horsetooth Half Marathon is a point-to-point course. Parking is at the Holiday Twin Drive-In off Overland Trail Rd. To expedite the parking process, entry to the Holiday Twin will be from the south only (right-hand turn). Those coming from the north will be required to drive down to Cottonwood Glen and turn around to approach from the south. Please plan on arriving from the east via Drake Road and turning right onto Overland Trail Road if you plan on parking at the Drive-In. As noted above, the Drive-In is approximately 3/4 of a mile from the race start, so please ensure that you arrive early enough to allow for the walk to the start, especially if you are picking up your packet race morning. Please see below for details on leaving gear at the start. 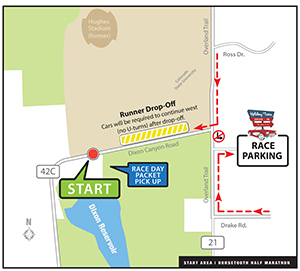 Runner drop-off will be on Dixon Canyon Rd (CR 42C), by the race start. Those dropping off runners should approach CR 42C from the north (right-hand turn) to avoid Holiday Twin parking traffic. Cars dropping off will be required to continue west (no U-turns) after dropping off their runner. Drop-off will be airport style, so please be prepared to unload quickly. If you are dropping off a runner and would like to see the race start, please plan on parking on city streets to the north and east of the Drive-In and then walking to the start with your runner. Free shuttle buses back to the race parking at the Holiday Twin Drive-In will be available from Linden Center Drive across from New Belgium between 10:00am and 1:00pm. Runners can leave a *small* gear bag at the start with the clothing that they need transported to the finish area. The drop bag location will be by the race-day registration tent just south of the start line. Your bib number must be clearly visible on the outside of the bag, and you will only be able to claim your bag from the finish if you have a matching bib number. Duct tape and sharpies will be available at the bag drop area to help label bags. Bags must be deposited for transportation no later than 15 minutes before the start. Post-Race Finish Line Party -- bring a friend! 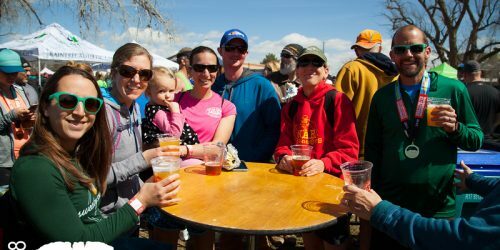 Your race registration fee includes free entry into the famed New Belgium Finish Line Party. 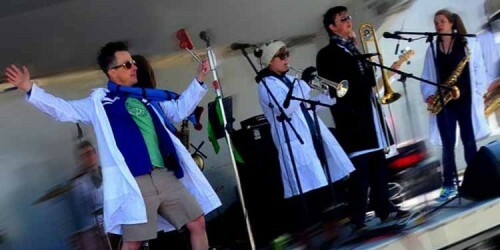 Those wishing to enjoy free beers from New Belgium will need to provide proof of age, so don’t forget to bring your ID. Runners will have the option to show proof of age at packet pickup on Saturday. Runners showing proof of age at packet pickup will have to attach their Over 21 wristband then and keep it on until their finish the next day. Fort Collins favorite hangout, the Rio Grande Mexican Restaurant will be serving up hearty post-race food for all finishers. 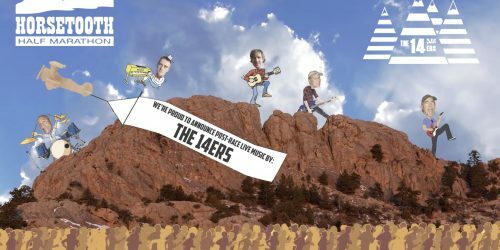 The party will be energized by live music from our headline act, The 14ers who’ll play either side of the awards and prize giving. The party alone will be worth the price of your race entry. Consider the race itself an added perk. 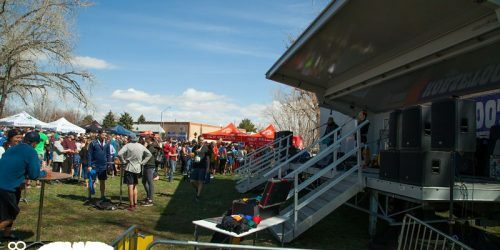 Thanks to the generous support of the Fort Collins Running Club, the race will be doubling the prize purse in 2018 to a total of $8,000 across a number of different categories. 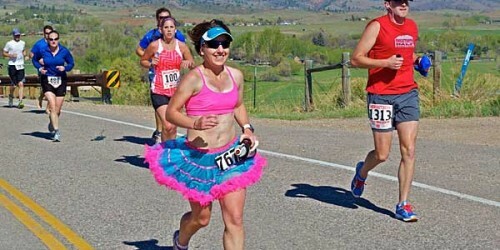 We are growing the cash purse as part of the Fort Collins Running Club’s mission to support not only fitness and health through running, but also the competitive side of the sport. * Must be a paid member of the FCRC as of Dec 31, 2018. * Prizes will be mailed in the week following the event. Free Hoka shoes to those over the mountain in the following positions: 45th, 445th, 1445th. 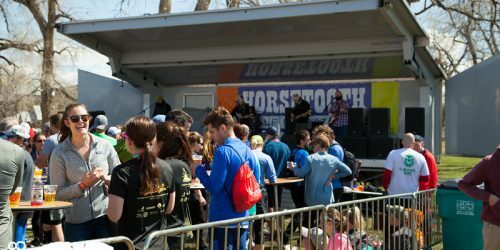 The awards ceremony will be conducted from the stage at the finish line party beginning at 11:30. Race results will be posted to a results board in the finish area shortly after you cross the line, and will also be posted online the afternoon of the race. 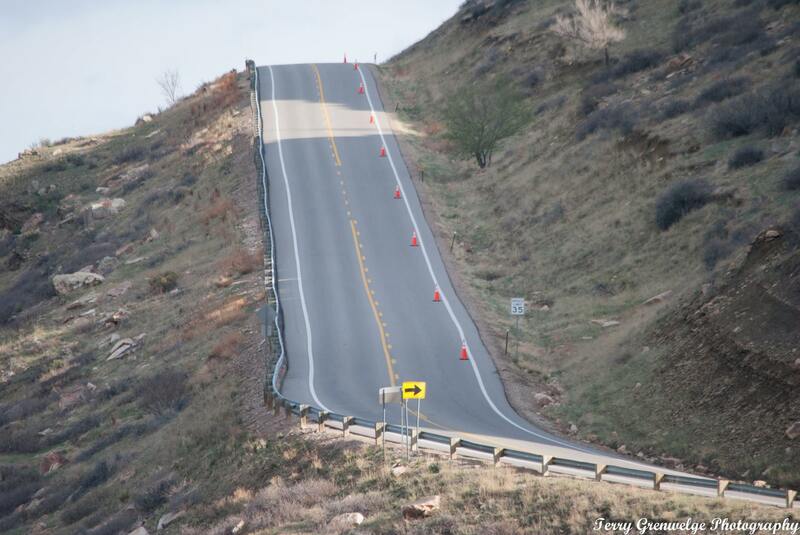 County Road 42C to Centennial Drive Road will be closed to traffic for the opening 3/4 mile of the race, after which runners will have a full lane closure on County Road 23E (Centennial Dr) to the Bingham Hill Rd turn (mile 6.5). Bingham Hill Road will be closed to all westbound vehicular traffic from County Road 23E to Overland Trail. Neighborhood traffic will be routed in and out from west to east. At the finish area, Lincoln Ave. will be closed to traffic between Willow and Linden Center Drive (north entry/exit) to accommodate the finish area and post-race party. 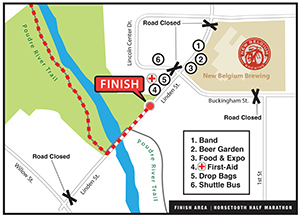 All beverage, food service and seating for the post-race party will be on the New Belgium lawn and on Linden Ave immediately adjacent to New Belgium. Traffic control volunteers will be at all major intersections on the course to guide runners and stop traffic. Police officers and flaggers will be assisting with parking in the morning, at the Taft Hill road crossing at mile 10.2, and on Linden Street at the finish. All volunteer, flagger and police instructions are final. All aid stations will have a first-aid kit containing items that you may need for minor medical issues such as scrapes and blisters. An ambulance staffed with a paramedic and EMT will be stationed at the finish to respond to any major medical issues. Bike-mounted EMTs will also be in position at the Lyons aid station (mile 8) and Taft Hill aid station (mile 10). Runners have a total of four hours to complete the course. This is an average pace of 18:20 per mile. April weather on Colorado’s Front Range can be somewhat unpredictable. Typically, you can expect morning lows in the mid 30s and daytime highs in the 60s. Some years have seen snow, some years have seen temperatures in the 80s. Fort Collins averages 300 days of sunshine a year. Expect blue skies, but come prepared for anything. Please see the Visit page of the website for more about staying and spending time in Fort Collins. 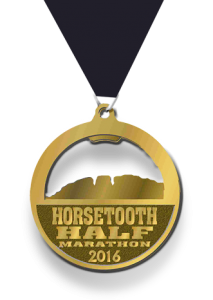 The Horsetooth Half is a spectator friendly course and runners love to see crowds out there supporting them. Refer back to rule 2, and bring MORE COWBELL! Stay for the afterparty. We’re bringing the noise for that. Top of Monster Mountain (mile 1.8). Drive, bike or run in before the race starts and cheer runners on as they make their way up to the high point on the course. We’re giving away cash money for the first male and female to the top: watch this race within the race unfold. Park at the Rotary Park day use area. The Turn onto Bingham Hill Road (mile 6.4). Cheer runners as they turn towards Bingham Hill Road and the final climb on the course. Drive or bike in from Bellvue on N. Co Rd 23. Lyons Park (mile 8.5). Park off Overland Trail Rd (21C) at the Lyons Park Open Space trailhead and cheer runners as they hit the bike path and follow the Poudre River into the finish. Taft Hill Road Crossing (mile 10.2). Park at the trailhead right where the Poudre Trail crosses Taft Hill Rd and cheer loud or, better yet, bring on the cowbell. Your runners are really starting to hurt now, they’ll need all the support you can give them. The Finish (mile 13.1). And they’re done. Save your loudest cheers for last.